Karyn + Noel met in a photo booth – how cute is that? 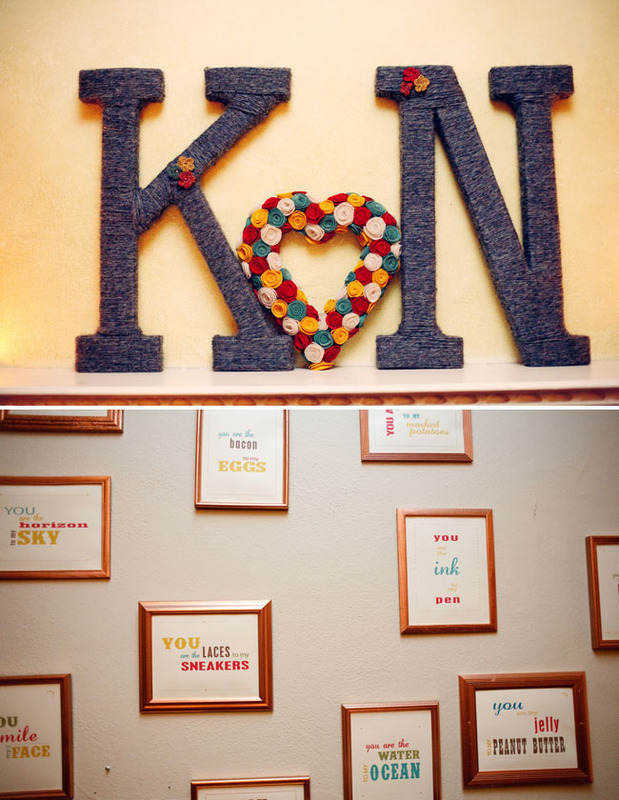 Karyn + Noel crafted most of the wedding details themselves. 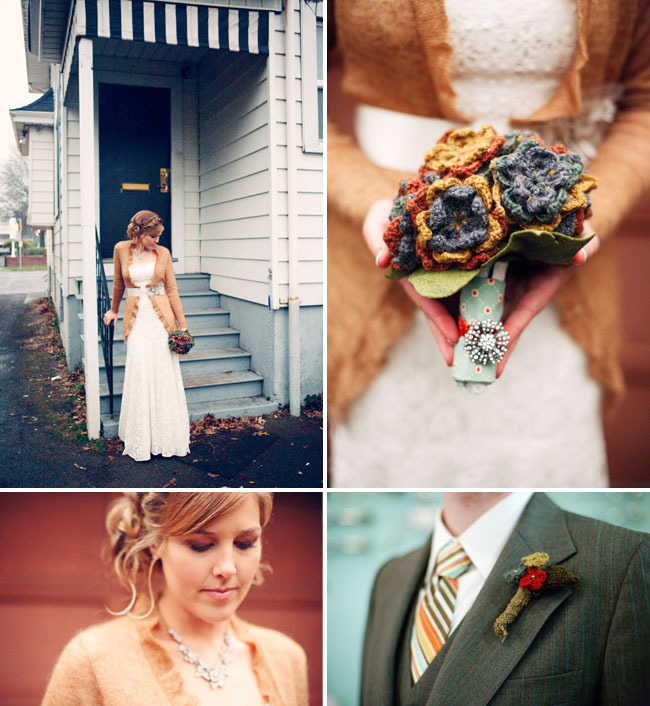 Karyn knitted all of the flowers for her bouquet and the boutonnieres – super unique + so special to them! 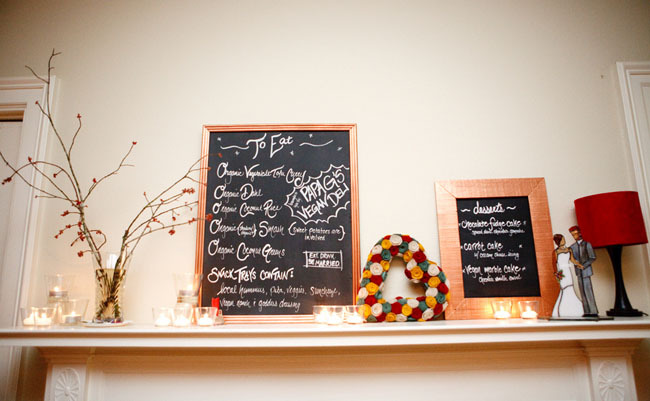 Karyn + Noel wanted their wedding to be, “Cozy, homey, lovely and warm. There will be blankets and hot chocolate, rice bowls and tons of handmade decor. And dancing! 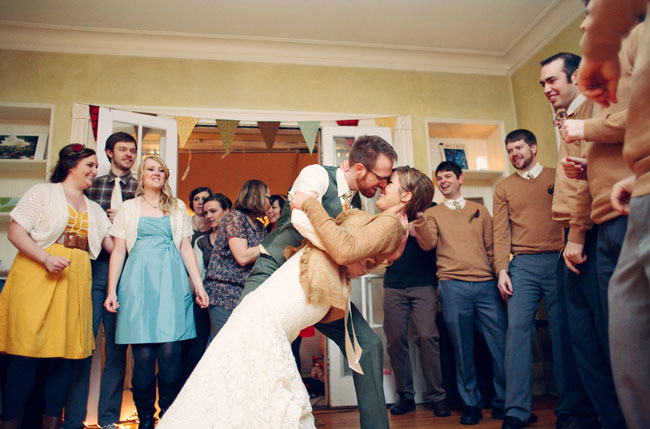 There will definitely be dancing!” I think you will see they achieved their perfect wedding. 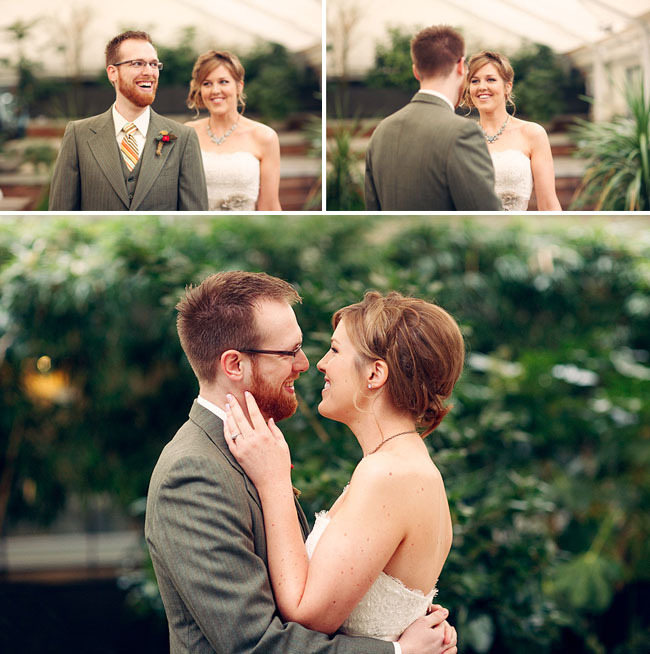 Congrats to Karyn + Noel and thanks so much to Bryan Rupp for sharing his photos with us today! So cute! 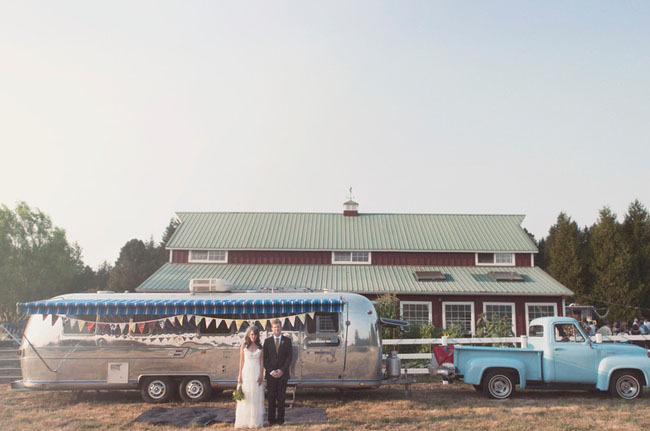 I love so much about this wedding! 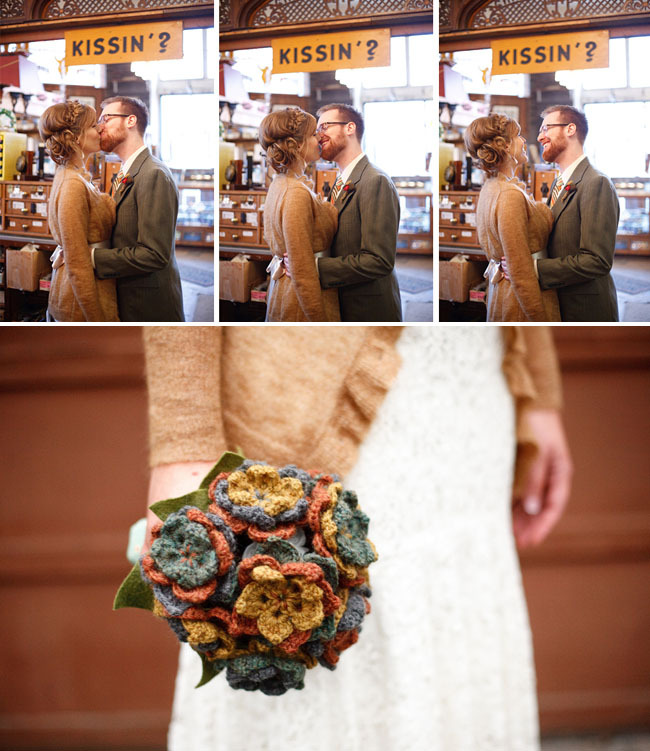 I have seen a lot of unique handmade bouquets and boutonnieres before but never knitted ones! I love it! This is such a beautiful wedding. I love the unique details, especially all the knitting! So creative and unique, I love the knit flowers! 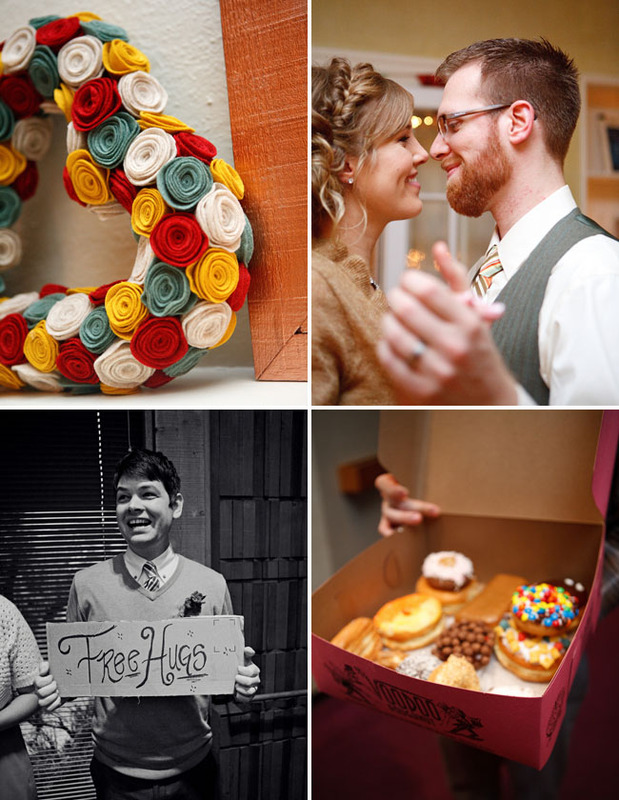 Wow, nothing like seeing your own face on your favorite wedding blog! 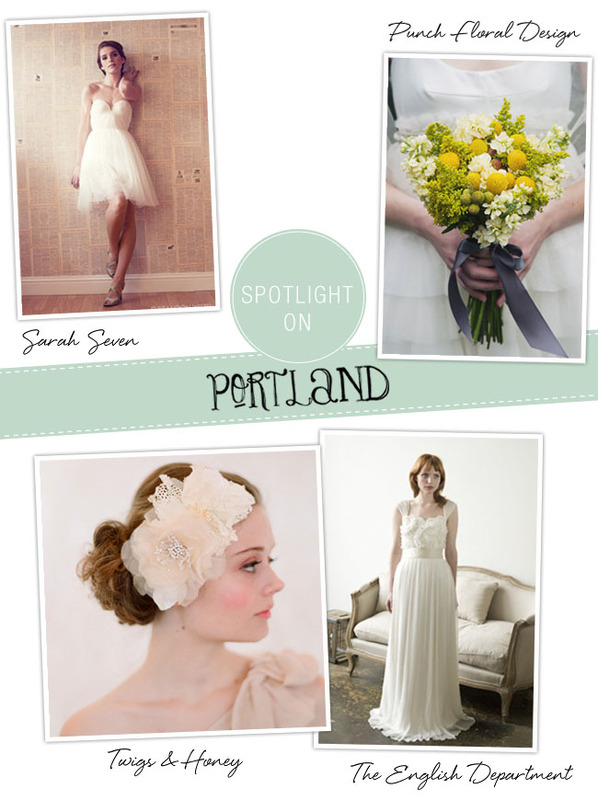 Thanks for featuring us – we were so blessed to have so many amazing folks help us craft our wedding. And, of course, none of it would have happened without our amazing families, especially my incredible and talented mom, who sewed each pillow and flag by hand, among other things. 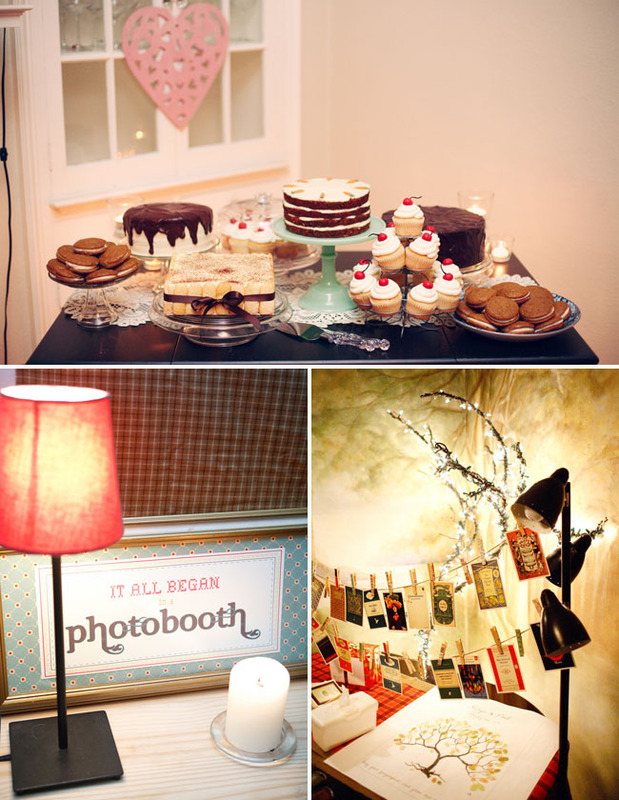 Yes, I love this wedding! So perfectly Portland. Beautiful work, as always, Bryan. I am SO. IN. LOVE!!! this is awesome! I thought it was a style shoot at first because of the perfection- I had to scroll down until I saw other people in the photos to be sure lol. This is amazing! 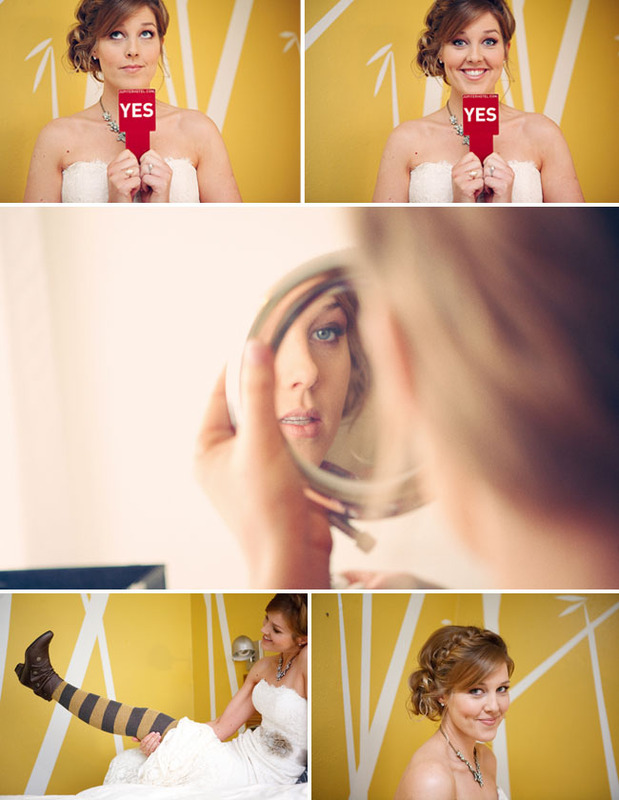 Lovely details, gorgeous bride, SUPER hairdo, and spectacular photography! 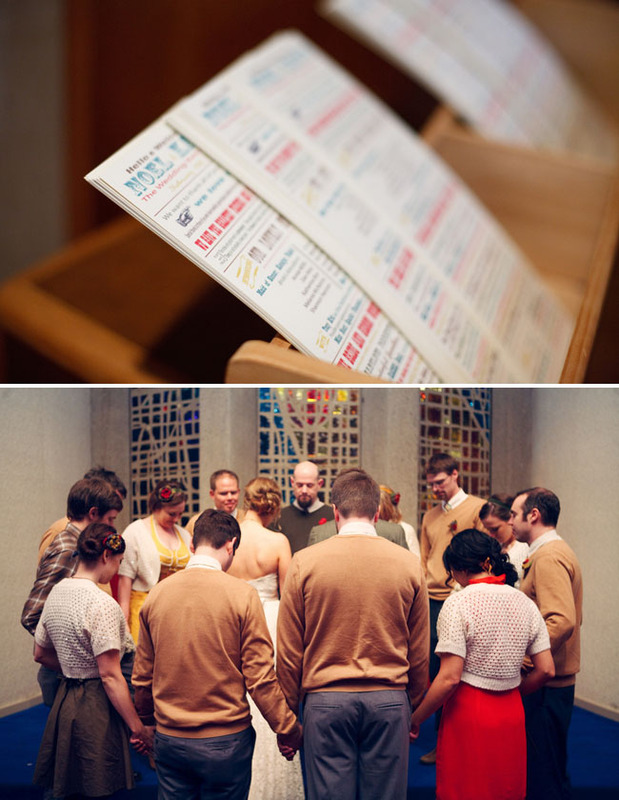 I’m totally using this wedding for inspiration in the future. Great job! Wow!! Honestly, the photo of everyone praying brought tears to my eyes. 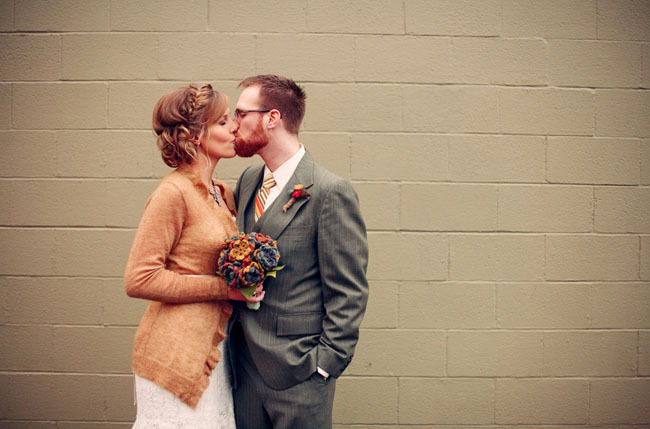 What an amazingly intimate and inspiring wedding! 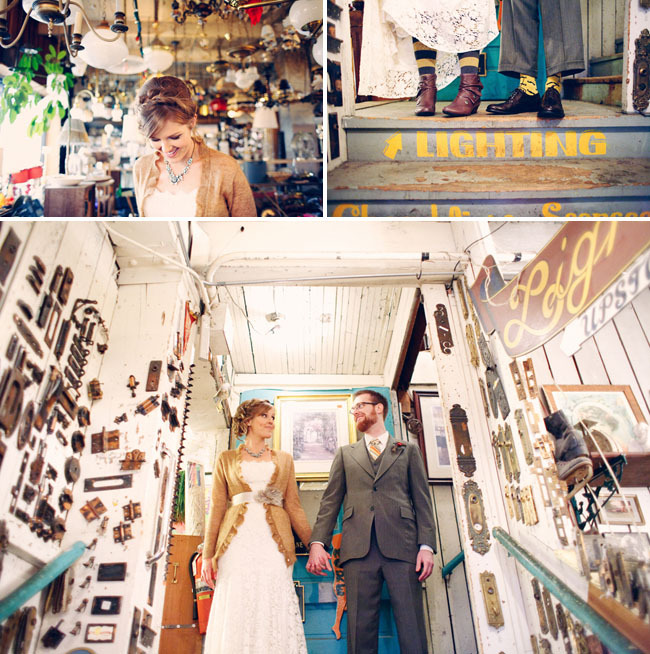 This is honestly one of the most beautiful, genuine, special and fun looking weddings i have seen photos of! and i must admit im a sucker for wedding blogs so that comment isn’t coming lightly… Congrats to you Karyn and Noel! and the hardware shop idea = too cool! Also, the one vendor left off the list who deserves huge praise: Heather Simon of Tribe Studio in Portland, who is responsible for my ah-mazing hair. I will admit that I was more excited about the hair than just about anything else. That girl is a genius. Everything about this is so super fun and cute, I might explode. Congrats! I just keep wanting to look at it again and again. Well done guys! that is too cute that they met in a photobooth! such a sweet couple! and the bouquet is way cute! I was head over heels in love with your hair too, Karyn! Do you have any close-up shots of it that maybe you could send me? My wedding is in October and I would love to try and have my hair done like yours. You’re gorgeous! It is certainly charming and cosy. I love it! What an awesome wedding. I love all the handmade details!! Also like the groomsmen attire – classy yet casual. 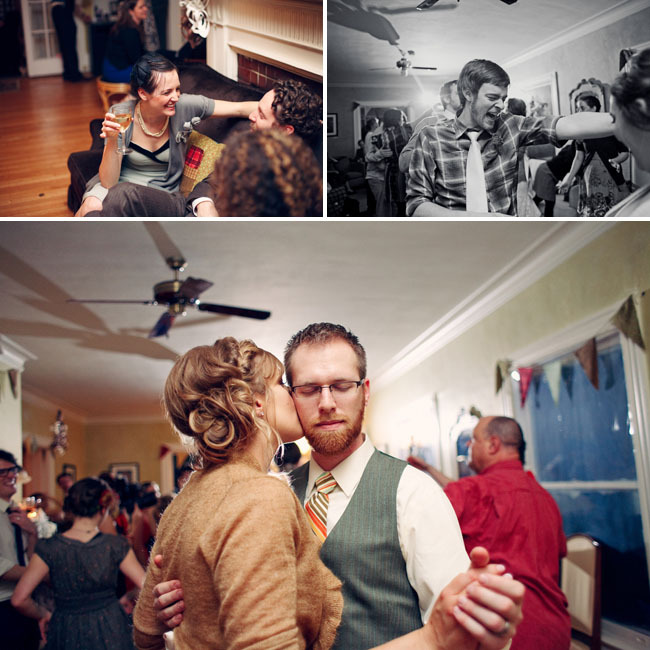 Love this wedding, its really warm and charming and cute! 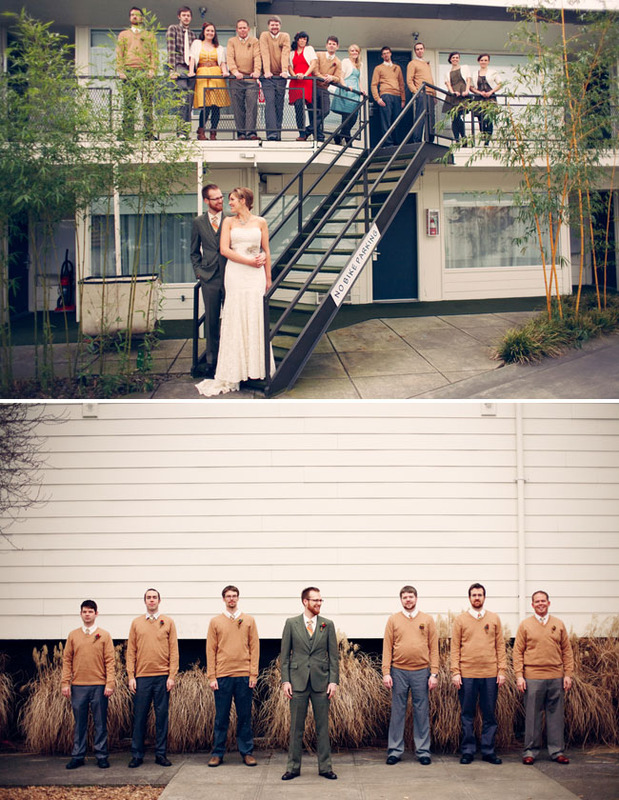 Love the groomsmen in sweaters! And the knitted flowers are so beautiful. or if you are willing to sell yours I would love to buy it from you!? Mindy – Thanks! The sash actually came with my dress, which was from the Blush by Jim Hjelm line. They do sell the ribbon individually, and possibly the flowers – you’d have to check with a bridal store that carries the line. I wish I could send you mine, but I already gave the ribbon to another bride to use and sewed the flowers onto a different dress… I’m a bit of a repurposing nut. :) It was taupe, sort of a mushroomy grey. Hope that helps! Karyn your programs are super cute! Do you have a template for them? Where did you find the pattern for the bouquet? 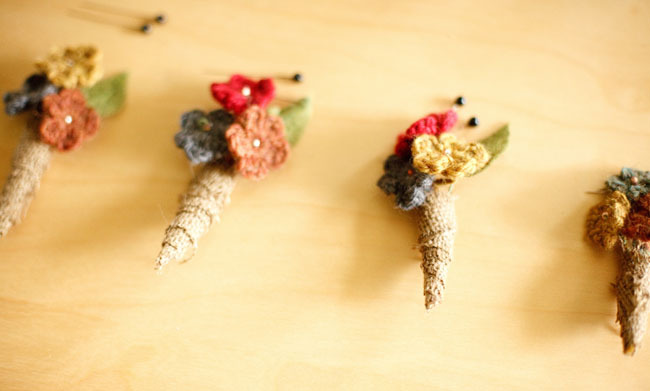 Yes please – post the pattern for the bouquet! 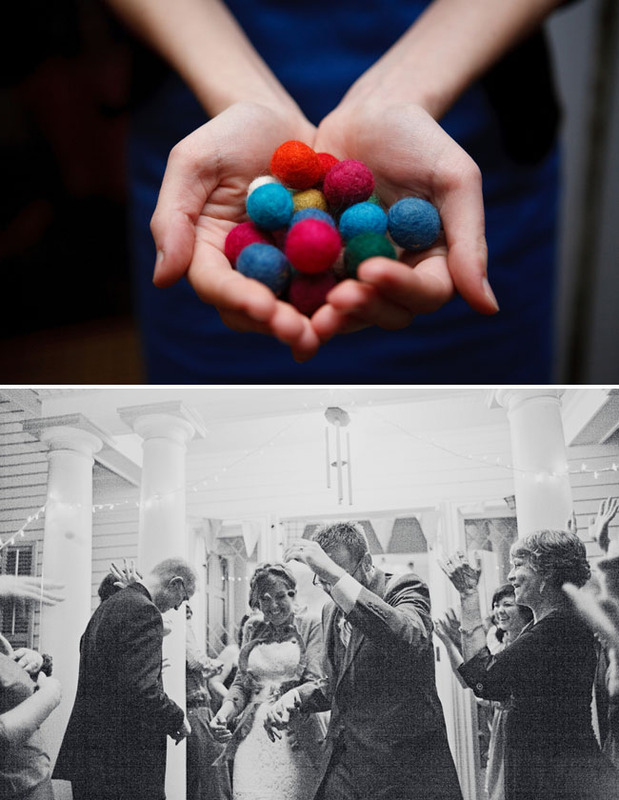 I have been Googling like mad but none of the patterns I can find are nearly as gorgeous as the knitted/crocheted bouquet in your wedding!